Anyone who knows us knows that we adore a good book. Beyond that, we also love just about anything that has to do with reading and enjoying our cozy reading time as well! That’s why we have such a fondness for bookmarks. 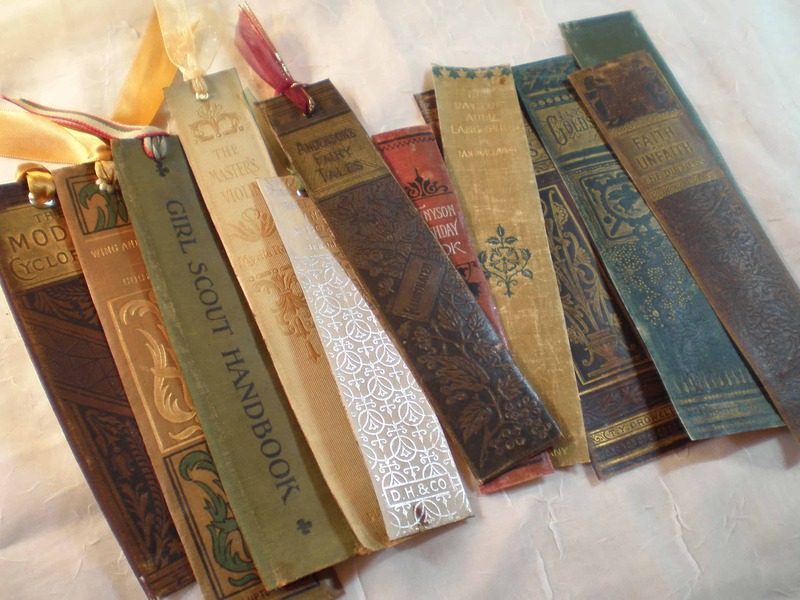 It’s just always so shocking to us how many different styles, sizes, and materials bookmarks can come in! Even more than that, it’s exciting for us to think about how many different kinds of bookmarks we can actually make ourselves! 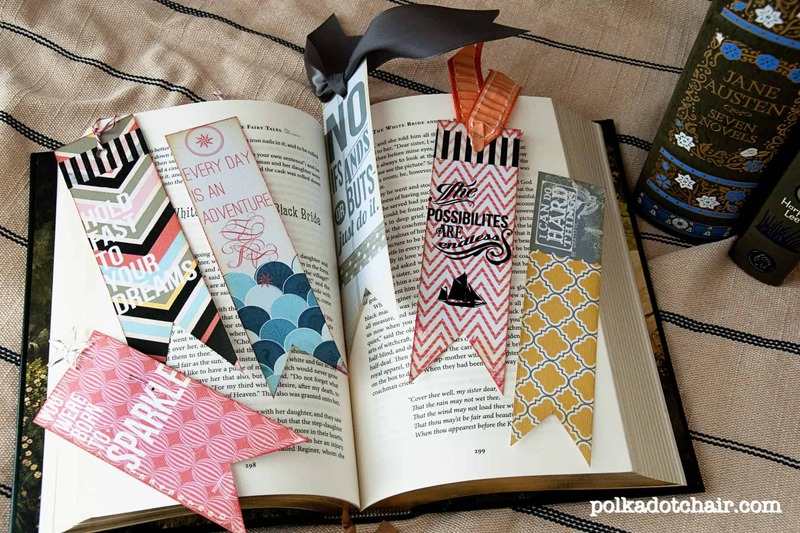 Just in case you’re a total bookworm, or perhaps you know a bookworm who you’d like to gift something nice to, but you always prefer making things over buying them, here are 15 awesome DIY bookmark projects to keep you busy between chapters! Are you also an avid scrapbooker who always has a great assortment of scrap pieces and ends in your stash when it comes to lovely, thick patterned, textured, and coloured paper? 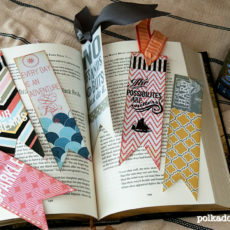 Then you have almost everything you need to make these adorable quote bookmarks from Polka Dot Chair! Grab some ribbon and some text stamps, choose your very favourite inspirational quote, and get started. Perhaps you’ve got the pretty scrapbooking paper pieces we were talking about before covered and you’d love to make bookmarks from them but you don’t actually collect stamps and you’re prefer to add something else a little more handmade to the paper rather than just pressing text down? Then we’d suggest turning to your felt stash instead! Take a look at how Blissful Roots layered carefully cut pieces to create lovely flowers with rhinestone centers. Perhaps your most prominent DIY and crafting skills actually usually lie in working with fabric and thread rather than with paper? 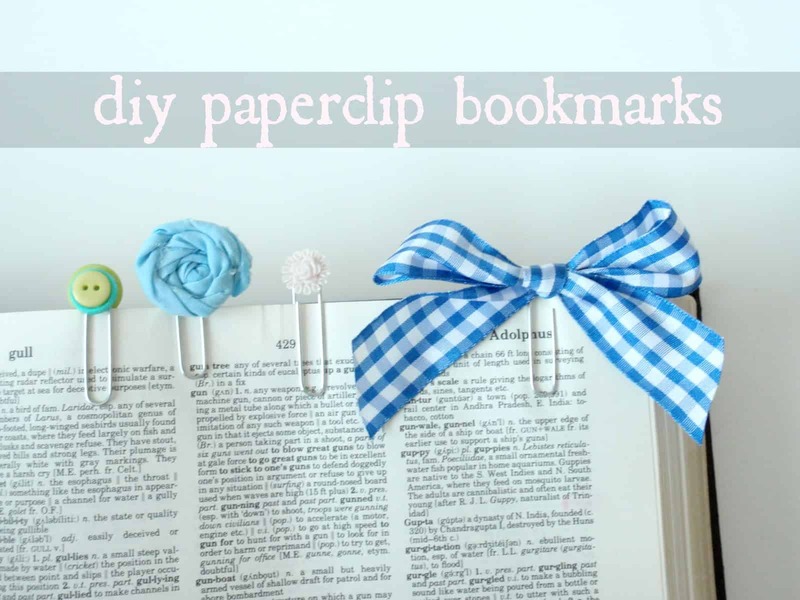 In that case, we think we’ve found the perfect kind of DIY bookmark for you! We love this tutorial from Daily Craft Inspiration because it guides you through the steps for making an adorable miniature dress sewn around the edges and attached to a length of elastic that holds your spot well by sliding around the whole book. Have you actually been looking for a bookmark craft that your kids might be able to help you with, or at least have fun designing and using after? 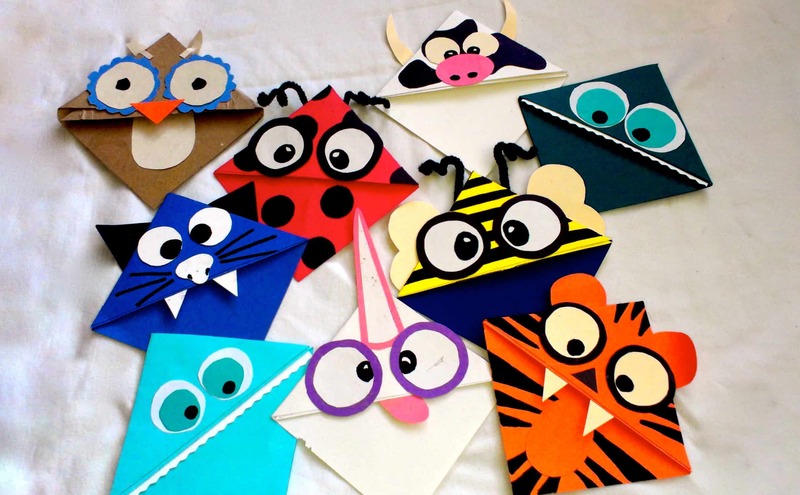 Then we have a feeling you’ll all get a kick out of these “corner monster” bookmarks from Weekly Scrapper! They show you how to make the basic shape with some simple origami and also give you suggestions for how to turn your shapes into all kinds of animals, characters, and creatures! Were you intrigued by the idea of origami bookmarks but your personal style is a little more detailed, delicate, or intricate looking than the fun cartoonish monsters we showed you above? 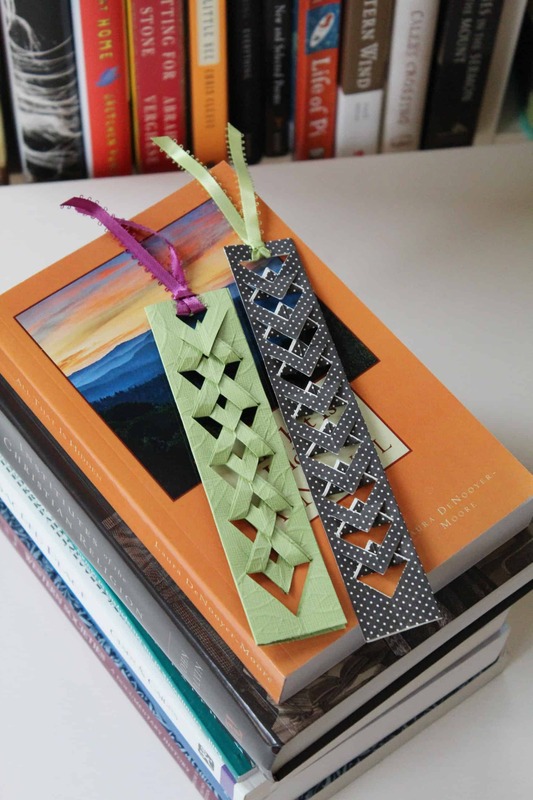 Then we think perhaps you’d prefer these woven paper bookmarks from Journal Sentinel that have an almost Celtic effect to the way they’re folded! Even though the braid is quite fancy looking, they’re actually surprisingly simple to do. Are you still quite intrigued by the idea of making a page corner bookmark that slides right onto the top but you don’t want to be chained to the idea of making the opening look like a mouth because you can think of all kinds of cute designs you’d like to try that are a bit different from that? In that case, we think you should definitely take a look at this cute ladybug corner marker from HS Homemade! 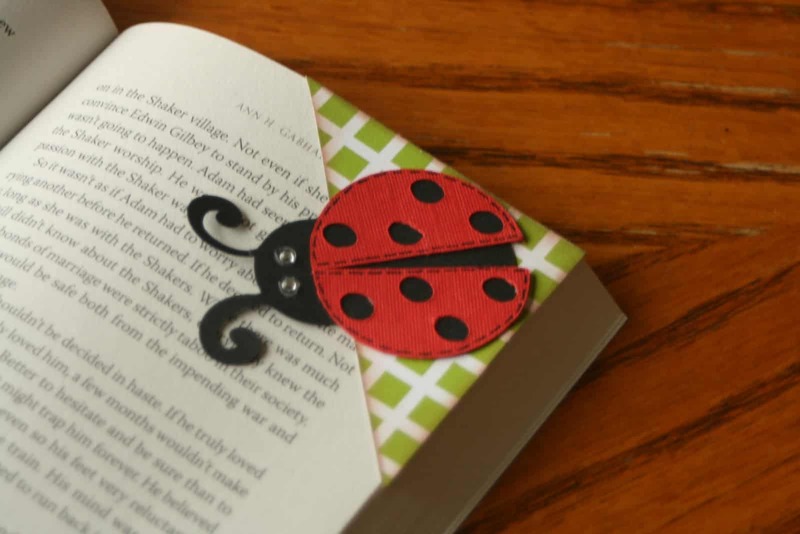 They show you how to make both the bookmark base and the little ladybug out of carefully cut paper. Have you ever come across a box of old books that were thrown out by the curb by someone else and wondered whether they can’t be upcycled somehow, even if they’re too faded or damaged to actually read? Well, Craftholic has certainly thought of one awesome way to make that happen! Their tutorial shows you how to turn the spines of the books, where the title and sometimes some fancy embossing are, into a simple literary themed bookmark so the spirit of the story can live on. 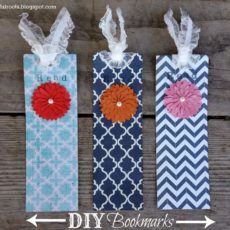 Are you very much in need of better bookmarks than just sticky notes because you like to use them while you’re studying but you’re crafting on a budget and you don’t want to buy new supplies specifically for this project? 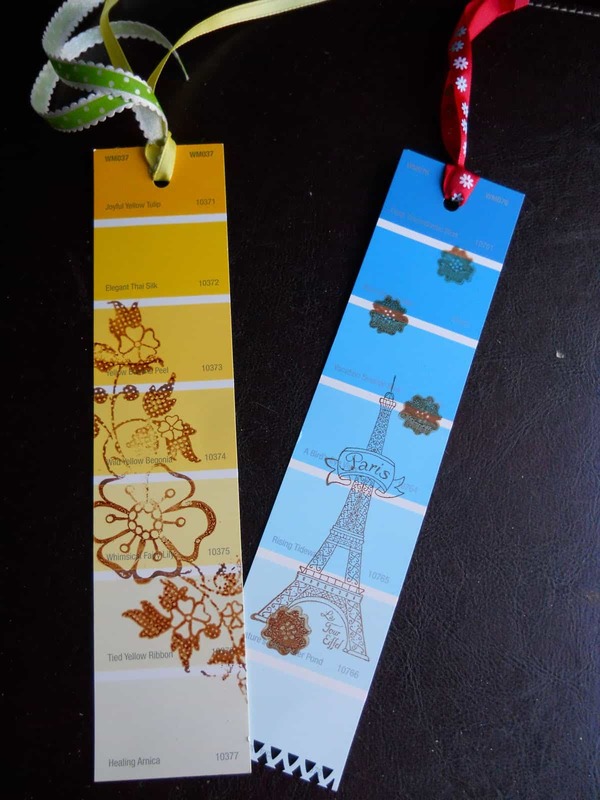 Then we’d suggest taking a look at these simple sliding bookmarks by A Creative Cookie. Rummage into your desk and crafting drawers and grab some spare paper clips, as well as buttons, ribbons, glue, and whatever else you might want to add. Have you always loved drawing and doodling more than basically any other kind of DIY or hand crafting technique and, as long as you get to draw, you’re happy to keep things simple otherwise? 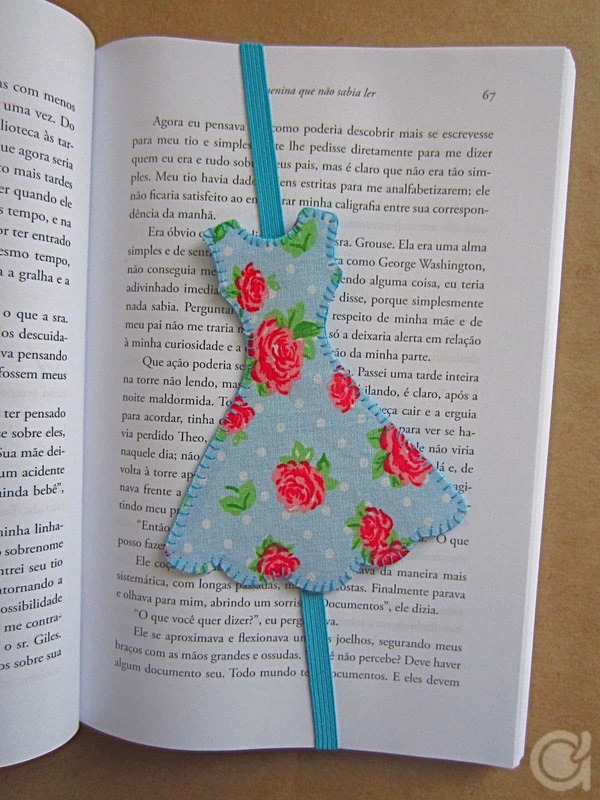 Then we have a feeling you’ll be on the same page as The Postman’s Knock when it comes to what makes a great bookmark! 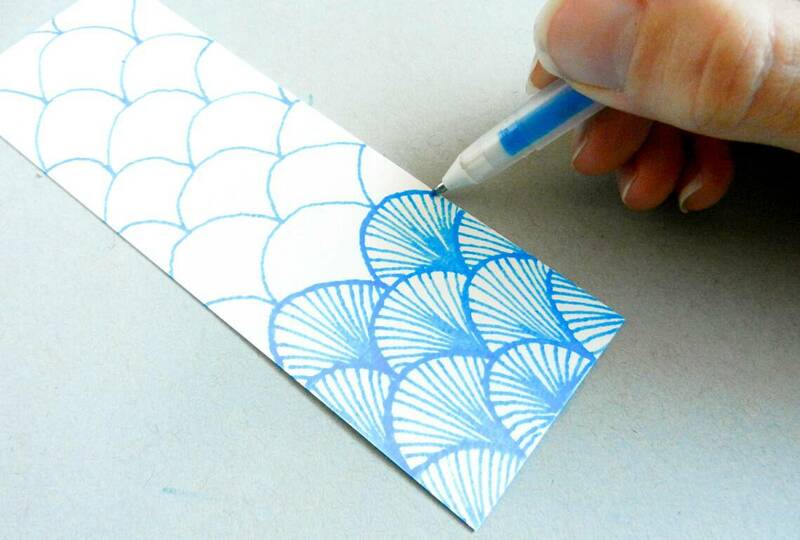 Check out how they created something pretty simply by doodling on a rectangle of scrap paper with a coloured ink pen. 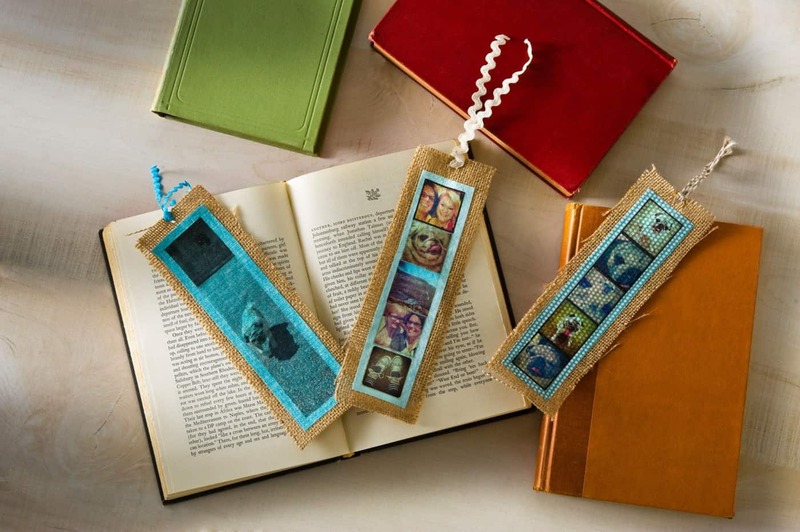 Are you still thinking about how much fun the idea of making bookmarks from fabric would be, but you’re also much more into a rustic aesthetic even in the smallest details of your life, particularly if you can get some of your favourite photos of your family or pets into the mix as well? 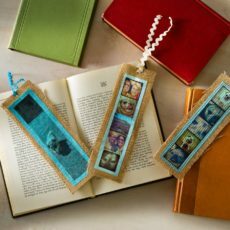 Then get to printing those pictures in miniature and rustle up some burlap, because these DIY bookmarks from Modpodge Rocks are the perfect project for you! Are you absolutely intrigued by the idea of making a page corner marker but you’d rather not work with paper and paper folding if you can help it? Then we have a feeling this felt alternative from Wake & Whimsy might be a little more your speed! They show you how to sew yourself on in just a few simple steps, keeping a visible seam around the edge for detail. 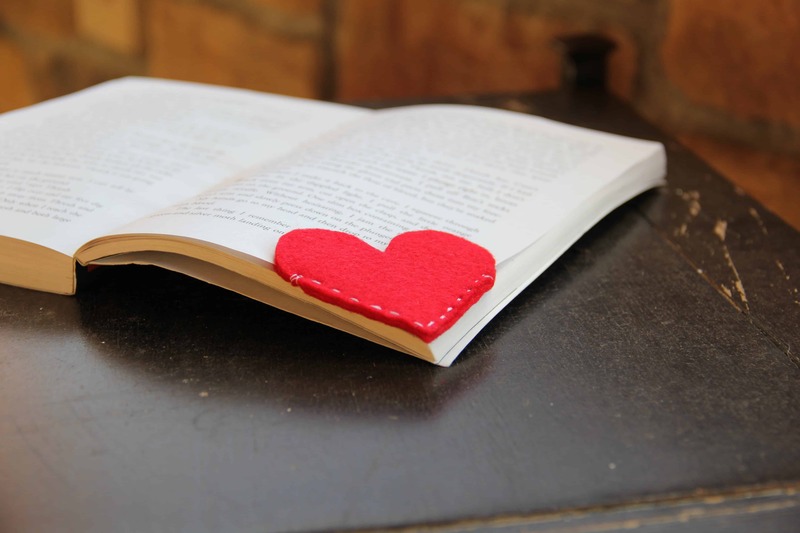 Are you very into the idea of working with felt but you’re not particular about the bookmark having to slide or clip onto the page in any way? Are you an avid tea lover who always makes sure you have a fresh, hot mug of your favourite blend ready any time you sit down to a book? 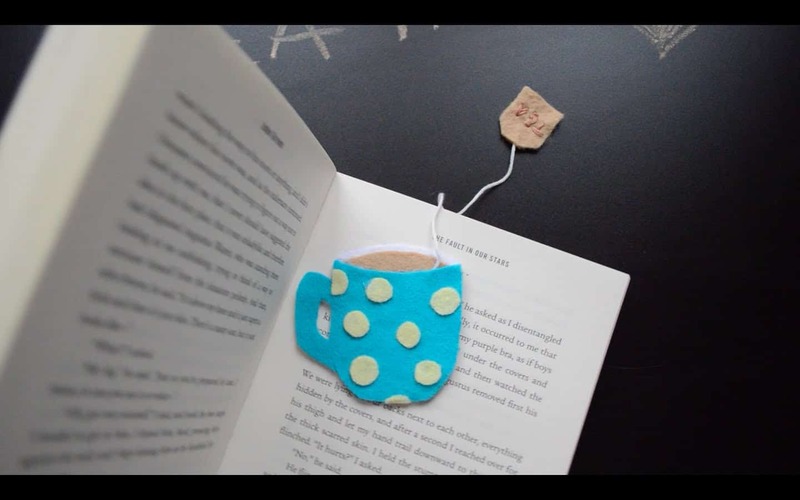 In that case, we have a feeling you’re the perfect person to try your hand at making this adorable little felt teacup bookmark by Creative Twins. Are you thinking that the paper clip idea is the best for you but you’d actually like to make them even cheaper and smaller than the ones you saw above because you’re working on a student budget and you lose things often? 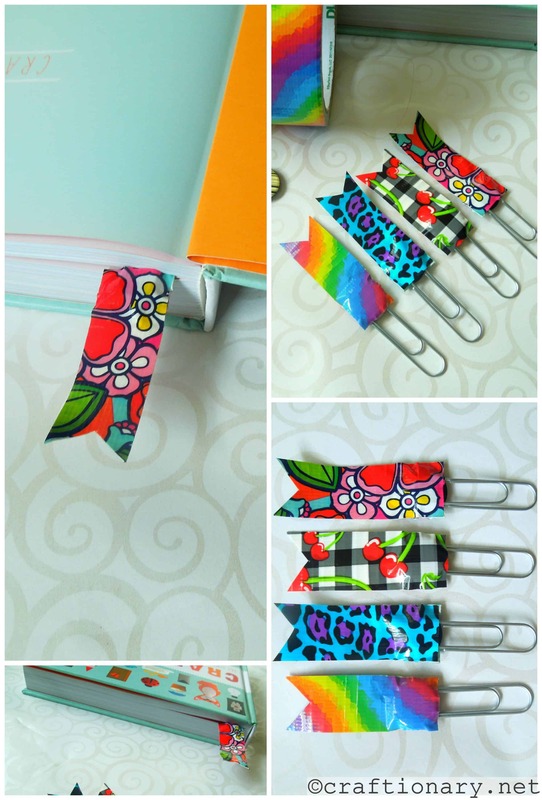 Then instead of grabbing ribbons and buttons, follow in Buttons 4 Crafts‘s footsteps and make them from paperclips and brightly coloured or patterned duct tape instead! Did we catch your attention when we talked about stamps at the very beginning of this post but your stamp collection is actually comprised of all images rather than letters and text so you’ve been scrolling through hoping to find another stamped alternative? Then Lovely Lissie is here to save your day! Check out their tutorial to see how they stamped vintage looking pieces onto pretty ombre paint sample cards in more detail. 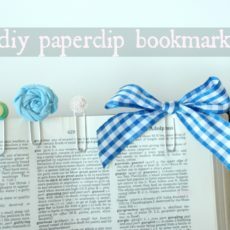 Are you quite intrigued by the idea of making a bookmark that has a little bit more staying power than the kind that you just slide in between the pages, but you’re concerned that a paper clip or corner marker will fall out because you’re an avid reader who takes a book everywhere you go, so you’re always pulling it out of your bag and stuffing it back in? Then we have a feeling this magnet bookmark by Peace and Woof might be an answer to a lot of your problems! 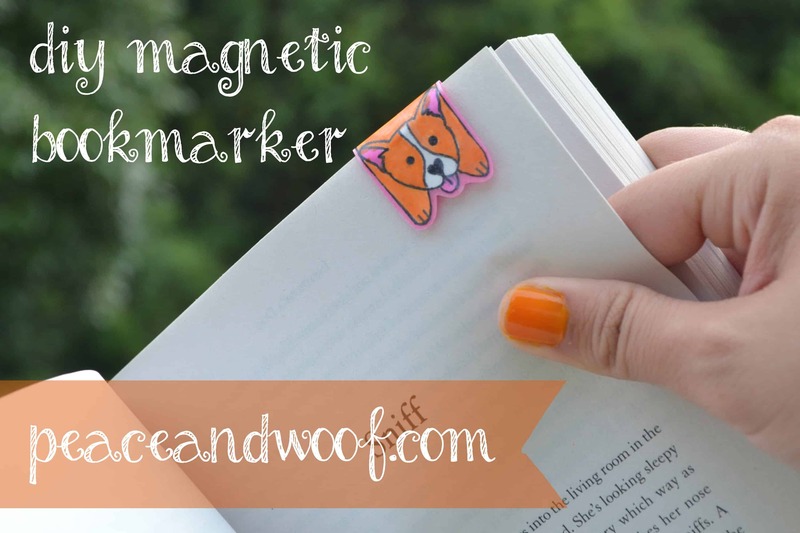 Their tutorial shows you how to make a hand drawn bookmark shaped like a little corgi dog bounding over the page. 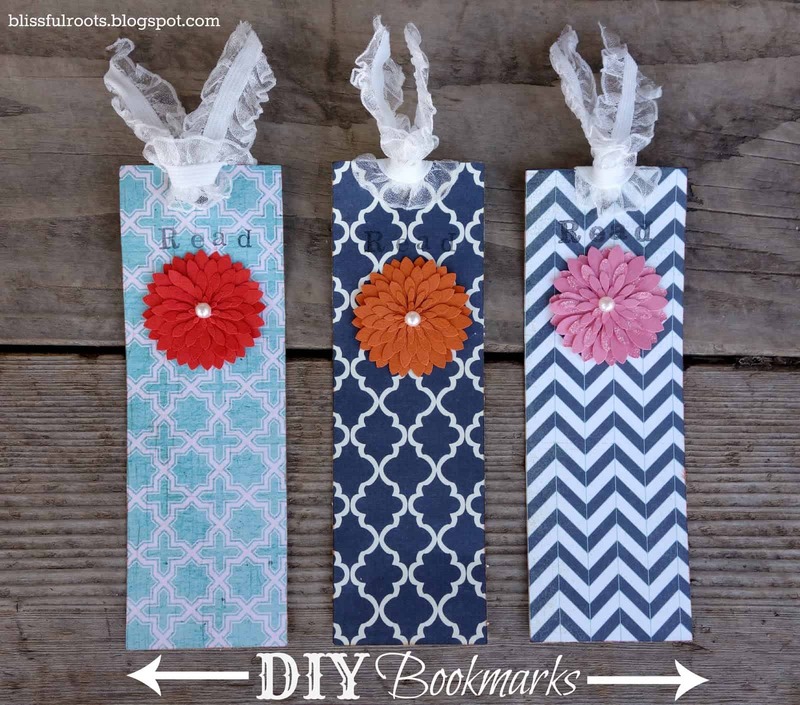 Have you made other cute DIY bookmarks before that you use all the time but you don’t see any similar designs here? Tell us all about how you did it or link us to photos of your finished work in the comments section!